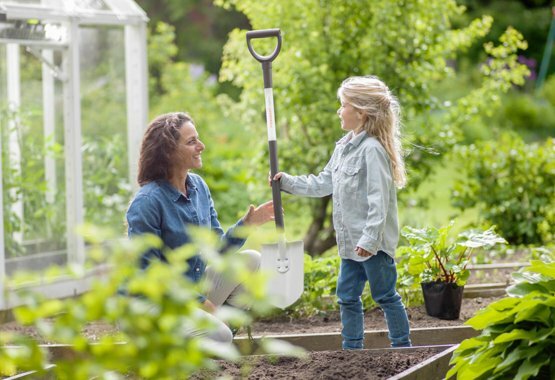 Fiskars has a wide selection of spade so you can choose optimal match to your size and task at hand. 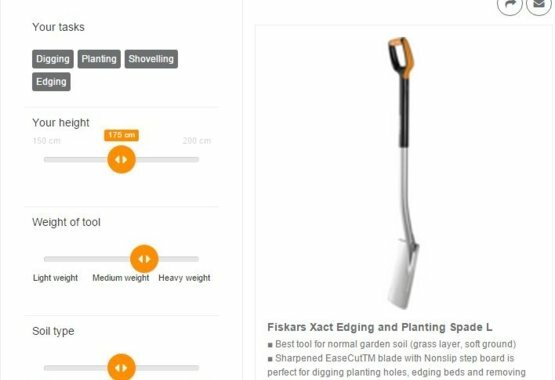 Use the "Spade and Shovel Selection Tool" to help your choice. 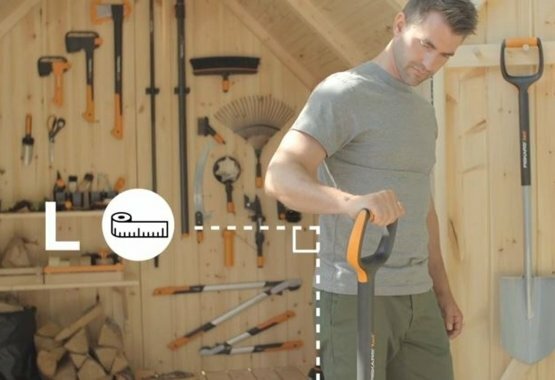 The spade size is correct when your hand rests comfortably in a 90o degrees angle while holding the D-handle. 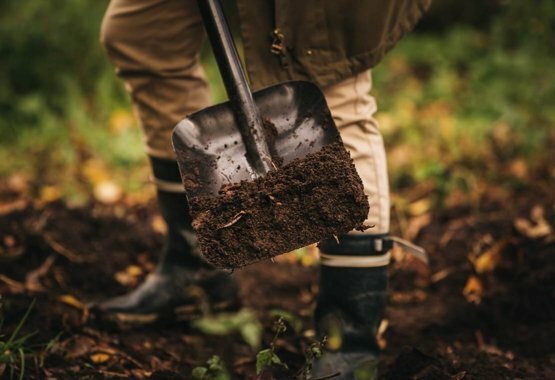 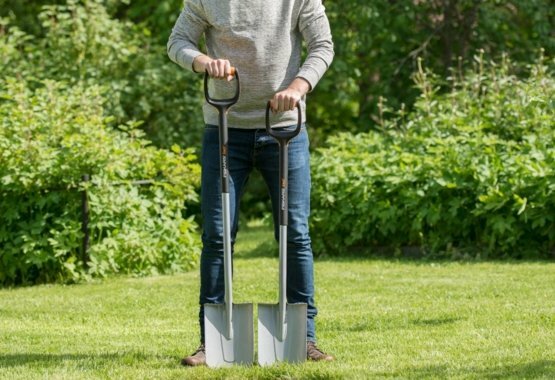 The weight of the spade is correct when you can comfortably turn the spade from vertical to horizontal position infront of you while holding the D-handle with two hands. 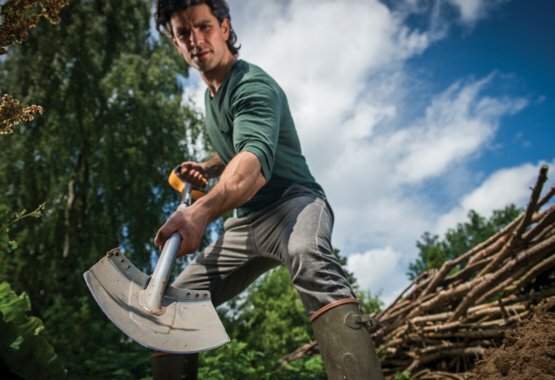 Please see the "How to choose the right size spade" video.